It’s a feast that is fit for a king. 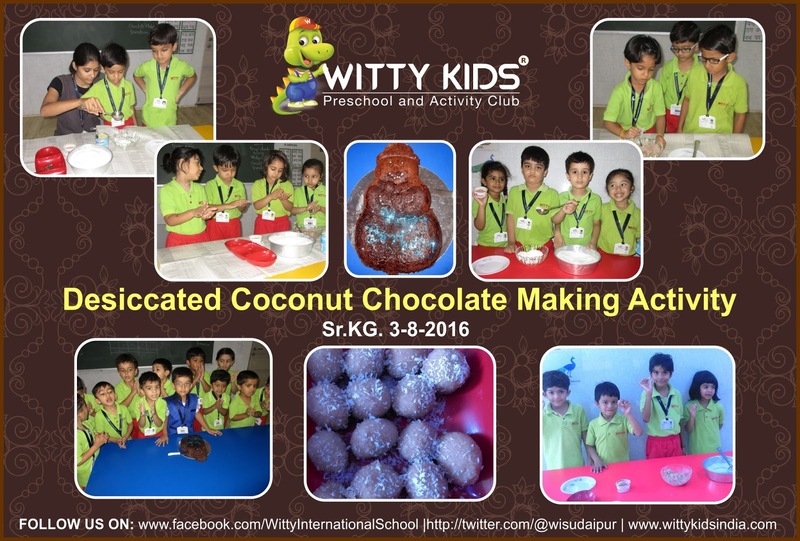 Children of Sr.KG enjoyed making desiccated Coconut Chocolate Balls with the help of Chocolate Powder, desiccated Coconut Powder and Milkmaid. Kids enjoyed mixing all the ingredients together and making balls out of it.